Q: How do I choose the right photographer? A: Trust your gut. Love their portfolio. And feel comfortable with the person. Boom! That’s the trifecta. The last one is probably the most important. Feeling comfortable helps you let down your guard, which will give you the most real (aka: amazing!) photographs. A: My style? Fine artist collides with a storyteller. And I’m willing to do ANYTHING for a shot. Lie down in the rain. Lie down in goose poop. Get hit with a baseball. Climb things. Seriously. Anything. And then I’ll spend a bunch of time in the editing room, giving that perfect shot the perfect finish. No two weddings are alike. No two couples are either. I get that. My style is to let you be you…and capture it…seeing every couple, every wedding, every story with a different lens. A: The starting package is 6 hours. Can we customize? Heck yeah we can customize! Coverage typically begins 2 hours before the ceremony and lasts until the end of the reception. Now…if you are party animals, you may want more than 6 total hours…after all, the most fun photographs are always at the end of the party! Most clients average 8-10 hours of coverage. Q: What does typical wedding coverage include? A: What do YOU want it to include? Because it can include whatever you want! Most packages are custom built to meet the needs of my bride and groom. I personally love to be there for the entire day – from start to finish. It gives me the complete story of your day and in turn, I can give that complete story back to you, frozen in time. Q: How many photographers do I get? A: All of my packages include two photographers. For weddings of over 200 guests, I recommend a third photographer. Weddings are frenetic, crazy, joyful events where important things often happen simultaneously. And we don’t want to miss one second of it! Q: What are the pros and cons of a First Look? A: First Looks are a more recent trend…it really depends on y’all. Personally, I love them – see my reasons below. But, ultimately, you should do what feels right for you. Intimacy…the chance to share a private and intimate moment, which is often less restrained. Also, it can be a good work around for churches that restrict access during the ceremony. Nerves…If walking down the aisle causes you anxiety, an early moment together can make this trip a little easier. Efficiency…Finishing the formals before the ceremony allows more time for the Romance Session OR immediately start the party at the cocktail hour! Privacy…Everyone wants to talk to you on your wedding day. You are the star of the show! The First Look gives the two of you a few moments of well-deserved privacy. Tradition…Quite often, especially in the South, grooms have no interest in a First Look. The ritual and anticipation of watching their bride walk down the aisle toward them is what they want. Excitement…While the First Look can take away the anxiety of walking down the aisle, it can also lessen the excitement of that moment. Timing….You have to get ready earlier in the day (although, who doesn’t want extra time in that gorgeous wedding dress when you only get to wear it one day?!) and your close family and guests will have to arrive before the wedding in order to take all of the formals before the ceremony. The Moment…A bride and groom greeting each other in the traditional form to create their new life together can create a wonderfully candid shot that can be worth the wait. Q: How does a First Look change the timeline? A: It depends on how many formals you would like to do. Typically, a First Look begins one hour before the ceremony with the formals immediately following. Q: Is there a way to calculate how long formals will take? A: Each formal grouping averages 4½ - 5 minutes per shot. I will send you a questionnaire prior to the wedding in order to organize the shots. We want to ensure that things run efficiently so you can get on to the party. Q: I'm in love with detail shots. Do you photograph details? A: Absolutely! I adore photographing the details that you have spent precious time planning and selecting. I like to photograph details that abound in the getting ready rooms as well as during the cocktail hour. If the formals are going to take a lot of time, we will send someone over to photograph the reception site. If the cocktail hour is at the reception site, this does affect our ability to photograph the details. Q: What is a Romance Session? A: Romance Sessions are truly one of my favorite parts of the wedding day. It’s a short photo session, usually following the formals, where I photograph the newlyweds sharing a few quiet moments. If the mood is right, I will also pull you away for one final dramatic portrait at the end of the evening. These are always the most relaxed shots and often end up being my clients’ favorite images from the day. Q: Do you work off of a shot list? A: Everyone loves Pinterest, me included. It is a great source of inspiration and you can always request shots or show me images you love. My goal is to understand your story, your personality and what you want…and then exceed your expectations. My team is very experienced, so just relax. We've got this! Q: Should we feed you and your assistant? A: Yes, please! Weddings are marathons and we need fuel! Tell your caterer to plan us a quick plate when you get yours. This ensures that we stay energized and won’t miss any of the action. Plus we can sneak you away for that quick romance session while everyone else is still eating. Q: Can my family and friends photograph at my wedding? A: Of course. I am always happy to see people pull out their cameras. I do request that you only hire one professional photographer for your wedding. Q: Can we ask you to stay longer on the wedding day? A: Absolutely! We are willing to be with you as long as you need us. Q: Are you available for our date? A: Click here and fill out the short form or just give me a ring at 336.404.6949. A: I am located in Greensboro, NC and yes, travel is one of my favorite perks of the job! Give me a ring and we can chat about travel rates and terms. A: Yep, I love to photograph anything and everything. Portraits, maternity shots, babies, rehearsal dinners, engagement parties, and corporate events. It’s pretty cool when I get to continue telling someone’s story beyond their wedding. A: Once I have a signed contract and a retainer, the date will be yours. Q: What happens if I have to change my wedding date? A: As long as your new wedding date is available, I’m yours. If I am already booked on your new date, no further funds are required. 1/3 90 days before the event. Q: Do we get to meet you before the wedding day? A: Yes, the more we get to know each other, the better your photographs will be. If you’re not local, we’ll chat using Google Hangouts! Q: Will you help us choose sites for our engagement and bridal sessions? A: Yep! Questionnaires are another tool that I use to get to know you better. 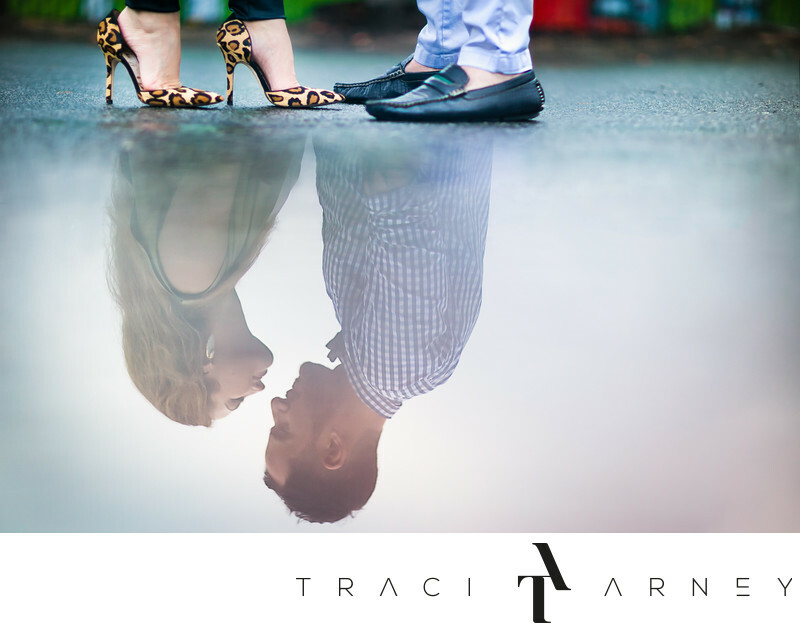 The engagement session questionnaire gives us inspiration on portrait sessions venues and is MY first look into you and your story. Wedding Day: Relax and Celebrate! 6-8 Weeks After: Your images Are Ready. CD Delivered. Online Gallery Goes Live.